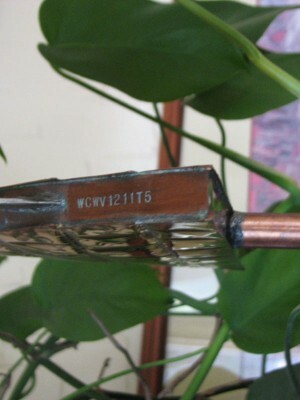 Each vane we create is signed, dated and numbered. Our small, medium, large and extra-large sized vanes are limited to a maximum edition of 50 per design. 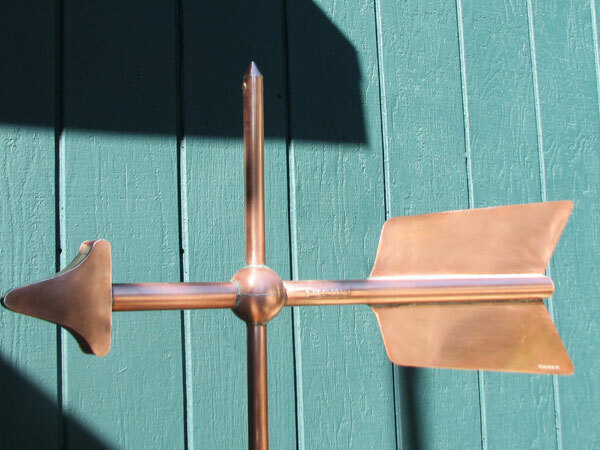 We only build an individual weathervane in a series when it is ordered. This means that some editions may only have had one weathervane made in its series, while others may have fourteen, fifteen or more. 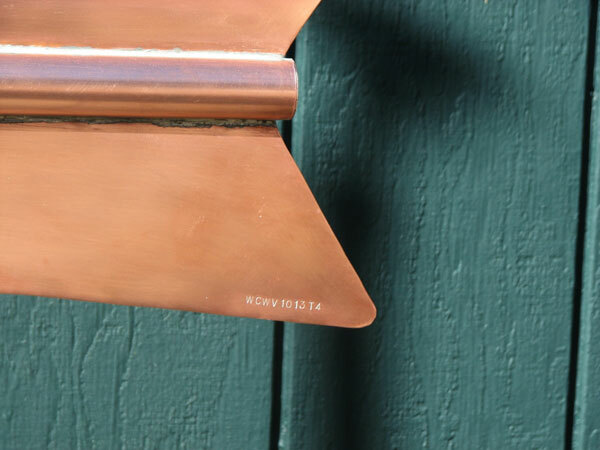 Because hand crafted copper weather vanes can become quite valuable through the years, we put an identification number on each one. That way, even a hundred or two hundred years from now, people will be able to identify it as a West Coast Weathervane, including when it was made, the particular artisan who crafted it, and which one it is in its series. We also offer exclusive weather vanes. Only the person, company, or institution commissioning an exclusive weathervane design can ever order it. We use the letter ‘E’ at the end of the identification number to indicate its exclusive status. E – If appended to end, indicates that the weathervane is an Exclusive design. Here are a couple of examples of stamped ID numbers. 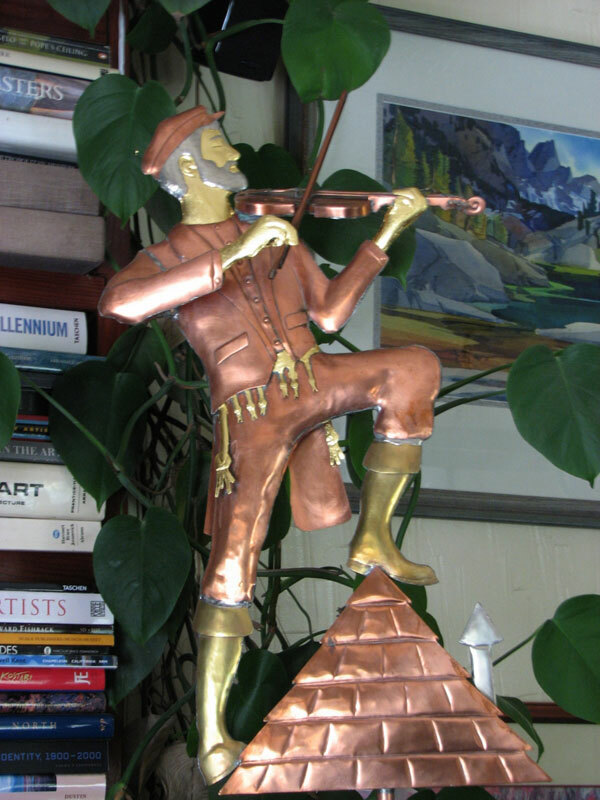 One is on a Barn Arrow Weathervane and the other is on a Fiddler on the Roof Weathervane. We also keep careful records of all the weather vanes we make ensuring their provenance is well documented for future authenticity determinations.